Josiah, Eva and Seth - Sour Face Lemonade Co. It was spring and 9 year–old Ezra, a Lego aficionado, had his eye on a Lego set. With his goal in mind, he agreed to work with his mother to learn how to successfully run an entrepreneurial business. The result: Top That Lemonade … his very own small business created with the skills and knowledge gained through his participation in the Northwest Arkansas Lemonade Day. His product concept for Top That Lemonade was inspired by a visit last spring to Top That Pizza in Tulsa, OK. Using the Top that Pizza methodology, he mixed different toppings with his lemonade to develop unique and flavorful offerings. From his lemonade sale and tips, Ezra pulled in $145 on Lemonade Day. Ezra chose to donate $30 to the Kenya School Fund in Africa, as well as deposit $9 to his savings account. And the Lego set? He had a wonderful time building it particularly knowing that he was able to buy it using his own money! “Selling lemonade and running my business made me feel responsible. 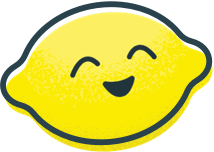 I thought it was awesome to sell lemonade and really fun, especially since I had never run a business before.” Read more about Ezra along with other Sweet Success Stories. Lane has participated in Lemonade Day for four years, and after attending Lemon U, he was inspired to rebrand his image. Since Lane would like to be a professional baseball player, Lane’s Major League Lemonade was created. Read More about Lane along with other Sweet Success Stories. Trysten Pearson and Nathaniel Twohatchett first met at a Galveston Boy Scout Troop Meeting in 2013 and realized that they both attended Odyssey Academy in Galveston. The boys became fast friends. Sadly, Trysten was diagnosed with epilepsy that same year at age 12. After having many severe seizures at Odyssey Academy, Trysten realized he was not alone. Many times Nathaniel had either stayed by his side during a seizure, went to get help or even used the lifesaving technique of “swiping” the VNS implanted device in Trysten’s chest with a magnet after having been taught first aid. After finding out about Lemonade Day, Trysten and Nathaniel decided they decided to participate as a way to raise epilepsy awareness. In addition to making over $1,500 on Lemonade Day, they established an incredible goal to work towards Trysten’s dream of having a pediatric epilepsy monitoring unit in Galveston County. Read more about Trysten and Nathaniel along with other Sweet Success Stories. Katie lives with her mom in Lubbock TX. One early morning in 2014, Katie discovered her bike was stolen off her porch. Katie didn’t know what to do…she had never had anything stolen from her before. How would she be able to get a new bike when she knew her mom couldn’t afford one? Luckily for Katie, her school teacher introduced her class to Lemonade Day. Katie dove into her lessons with zeal, working hard to achieve her goal of buying a new bike. That year, Katie not only earned enough money to buy her bike, but she also gave a donation to her favorite local charity. Katie wasn’t done there! After tasting success, she developed some new goals. In 2016, Katie started her own mobile food and lemonade trailer. Read more about Katie along with other Sweet Success Stories. Katrina went above and beyond during her 2015 Lemonade Day. Partnering with Killeen I.S.D.’s Homeless Awareness and Response Program (H.A.R.P. ), Katrina raised $1,500 to purchase 300 books for homeless children in her area. She also didn’t limit her operations to only one day or just one location. Katrina had her stand at a ribbon cutting ceremony, a Sam’s Club, and the Killeen Mall. Her drive and commitment to helping others made her stand a rousing success. 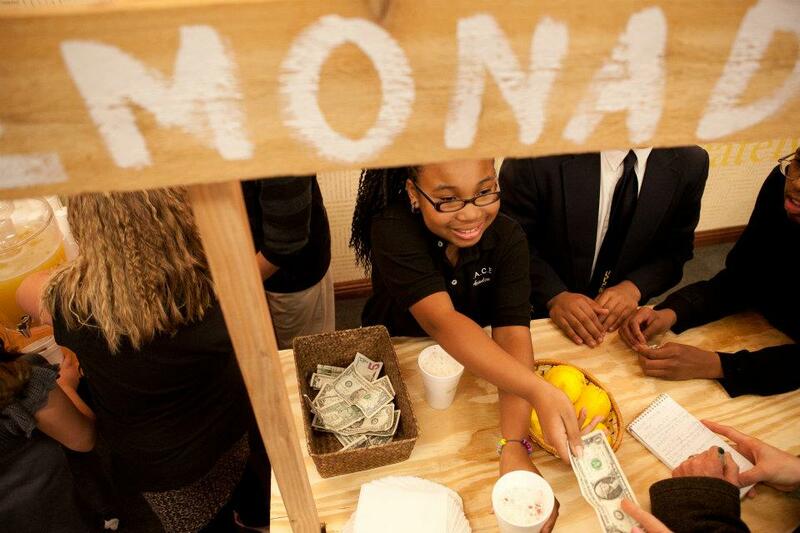 But Katrina’s commitment to the principles of Lemonade Day make her the 2015 National Youth Entrepreneur of the Year. Read more stories like Katrina's. 3 J’s Lemonade was the winner of the 2016 National Entrepreneur of the Year contest. The owner’s of 3 J’s, Philip, Caleb, and Elijah worked tirelessly to come up with creative recipes and market their product. Together, these 3 brothers have big plans for the future. They agreed that this year they would take their profits and reinvest in their business, hoping to one day purchase a truck so they can make their lemonade business mobile. While the youngest brother, Elijah awaits a bone marrow transplant, his older brothers are dedicated to keeping up the business in his absence. They plan to document their business journey so Elijah can stay connected while he’s recovering. Their hard work, dedication and commitment to their partnership is what makes them the perfect recipients of the 2016 Entrepreneur of the Year award. Read more Sweet Success Stories. We did Lemonade Day because we wanted to successfully earn money to donate to a great cause like Cedar Lake Lodge. Another reason is that we wanted to learn how to become a great entrepreneur and one day run an amazing business of our own. Hopefully as a result we could represent our city and our school by learning the way of an entrepreneur and giving back to our community. Read More about Hailey and Katie along with other Sweet Success Stories.